Meanwhile, First Southwest Co. was censured, fined for failing to deliver timely ETF prospectuses. Among recent enforcement actions by the Financial Regulatory Authority, Barclays Capital was censured and fined $800,000 for reporting failures; Capital One Sharebuilder was censures and fined $100,000, also for reporting failures; and First Southwest Co. LLC was censured and fined $450,000 for failing to deliver prospectuses for ETFs at time of delivery of the securities. FINRA censured Barclays Capital Inc. and fined the firm $800,000, as well as requiring it to revise its written supervisory procedures. According to the agency, because the firm failed to change the reporting logic in its order management system to comply with a FINRA regulatory notice, Barclays failed to identify the correct executing party on nonmedia clearing reports with other broker-dealers that were reported to the FINRA/Nasdaq Trade Reporting Facility (FNTRF). In addition, its supervisory system wasn’t adequate to achieve compliance with applicable laws, regulations and FINRA rules about accurate reporting of the executing party. Capital One Sharebuilder was censured by FINRA and fined $100,000 after the agency found that the firm failed to correctly report options positions to the Large Options Positions Report (LOPR) with the correct Clearing Member number. According to the agency, the firm submitted options positions to the LOPR using a different file name than the one used on the firm’s prior Options Clearing Corporation (OCC) LOPR submissions. That kept the OCC from processing the LOPR position files, and caused the firm to fail to report any of its reportable options positions. All of the firm’s positions, however, had been reported to the LOPR via its clearing firm’s omnibus account. FINRA also found that the firm failed to aggregate some accounts that were acting in concert (AIC), and as a result failed to report options positions. The firm’s aggregation failures impacted AIC groups and accounts. In addition, the firm failed to have a supervisory system, including follow-up and review, that would keep it in compliance with rules governing options positions reporting to LOPR; it lacked WSPs that would cover reviews of rejected LOPR submissions, accuracy of LOPR submissions, and identification and reporting of options positions appropriately as AIC. The firm neither admitted nor denied the findings but consented to FINRA’s sanctions. First Southwest Co. LLC was censured by FINRA and fined $450,000 after the agency found the firm had failed to deliver ETF prospectuses to its own customers at the time of delivery of the securities. According to the agency, not only did the firm fail to deliver prospectuses, it then delayed notifying the affected correspondent firms about its failure to provide prospectuses until more than a year later. In addition, its supervisory system and WSPs were inadequate to detect or correct its failures. 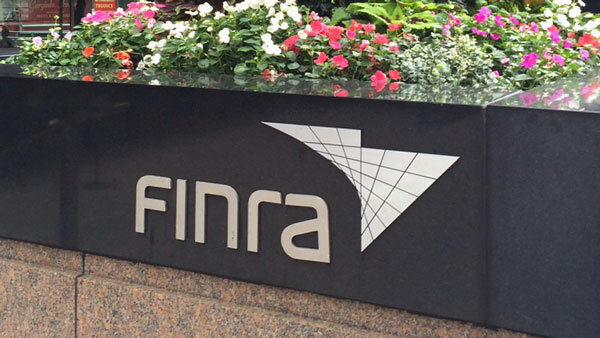 — Check out Cetera, Commonwealth Among 12 Firms to Pay FINRA $6.6M Over UIT Sales Charges on ThinkAdvisor. — Find out how to protect your business from cyber bandits at ALM’s cybersecurity event.